The Aug. 21 press conference at which the Iowa Department of Public Safety announced the arrest of Cristhian Bahena Rivera began at 4 p.m. The governor’s statement arrived in Little Village’s inbox at 4:19 p.m., and a tweet reiterating the conclusion of the statement was posted to the governor’s official account at 4:21 p.m. 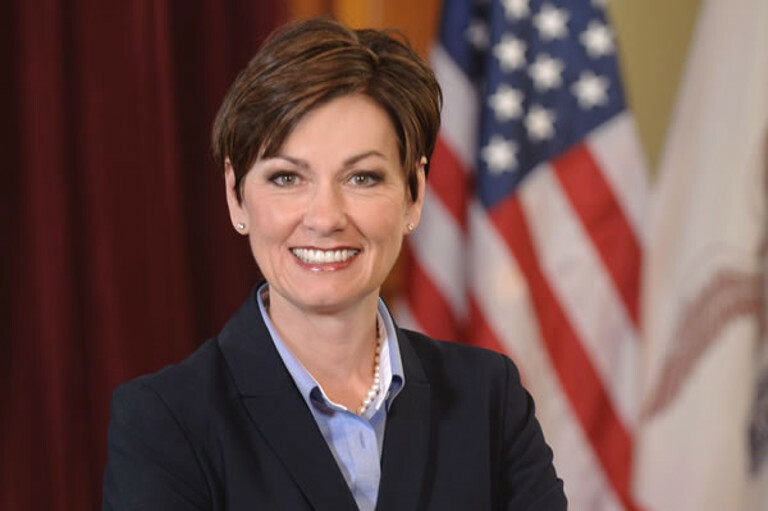 Hours before Reynolds made her claim on Thursday that less than 20 minutes doesn’t qualify as “immediately,” residents of a Des Moines neighborhood home to many immigrants discovered “Deport illegals” spray-painted across the pavement of a nearby street. The seventh annual Iowa City Latino Festival, which was originally scheduled for Aug. 25, was postponed out of respect for the family and friends of Mollie Tibbetts, but also due to safety concerns. During her remarks to reporters on Thursday, Reynolds said she condemned the anti-Latino and anti-immigrant rhetoric that has followed the arrest of Bahena Rivera. “It’s unconscionable that somebody would take and utilize a tragic death like Mollie Tibbetts’,” Reynolds said. Is she talking about her own remarks? Was she apologizing? The gall of these GOP racists is just disgusting. It is unconscionable that Kim Reynolds would take a tragic death and politicize it for her own agenda. Latinos and illegal immigrants are not synonymous….not even close. Talk about hate mongering! It’s too bad that the Democrats don’t have a candidate who will skewer her for this nonsense.